An Aston Homes Guide To Creating Your Space! There’s nothing quite like the feeling of a freshly spruced space, especially one that complements your taste and lifestyle. Whether you’re decking out a brand-new build, looking to work some extra design elements into your current décor or simply inspired to live a little more minimally in 2019 – enjoy Aston Home’s tips on how to create the perfect space for YOU in today’s blog! For the average homeowner, stellar styling and decorating skills don’t come naturally. We’re often stuck for ideas on colour, style and how to make use of what we already have. This is where a style self-audit comes in! All you have to do is ask yourself two questions: who am I and what do I want? While you might love the idea of a living zone bursting with greenery and scattered with coconut scented candles, if you’re a young family with little ones running around, this might not be the most practical reality. Alternatively, if you’re a mature couple with an abundance of spare bedrooms now that your children have flown the nest, maybe it’s time to consider styling your spare room into something a little less teen friendly. Consider your current lifestyle, your visions for the future, and decide on a style that’s right for you. One of the best pieces of advice for styling and sprucing your space is to simply declutter. Will you ever read those books, watch those DVDs or play those boardgames gathering dust on your shelves? Be ruthless in your decisions. Ridding yourself of some ‘stuff’ you have held onto for years may feel restrictive at first, but decluttering can be quite freeing in the long-term and can free up some extra cash. Local Buy Swap Sell Groups and Facebook Marketplace are great ways to easily list items for sale and be contacted by interested buyers. And then there is of course e-bay. One person’s trash is another’s treasure, so list your best items online and watch the cash roll in! Perhaps you’re interested in investing some of that extra cash you’ve collected from selling your wares to update your furniture. 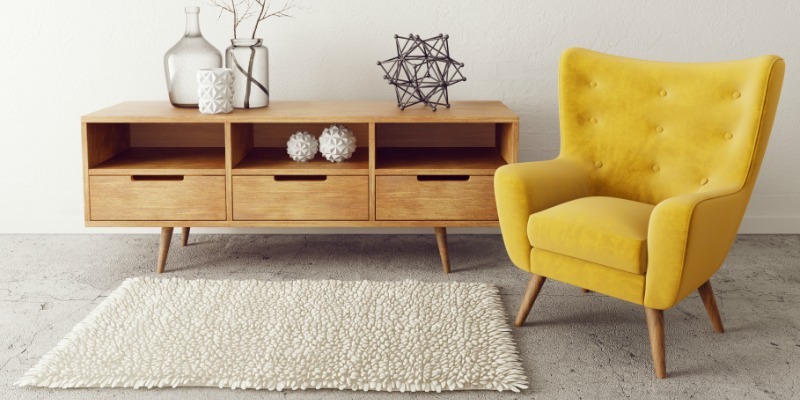 When selecting your new style, it can be helpful to look into the latest design theories, or even engage an interior stylist for extra inspiration. Try to choose furniture that promotes functionality in your space, focusing on storage pieces that minimise clutter. Placing furniture against the walls creates balance and allows you to easily walk from one side of the room to the other. For a relaxing space, getting the right lighting is essential. Move away from fluorescent lighting and instead embrace natural lighting and energy saving dimmers. Where you can, try to match different types of lights (wall mounted lights, floor lamps and bedside lamps) for consistent styling throughout your home. Art is a great way to bring colour and elegance into a simply styled room – without taking up too much of your recently de-cluttered space! In smaller rooms, large art prints can make a room feel much more spacious. Remember, you’ll be looking at these pieces daily, so ensure you select prints and themes that bring you joy and try to support local artists where you can. The Aston Homes team have put a lot of thought into creating create spacious, flowing and contemporary floor plans suitable for a range of styles and tastes. Looking for your perfect Aston Homes design? Check out our diverse array of facades and floor plans to suit your style here.